Baseline hosted its third of four happy hour events to celebrate our 20th anniversary. The latest party was held in Steamboat Springs at The Art Depot. 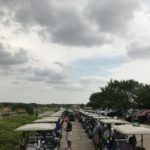 We had a fantastic turnout of coworkers, friends, and clients who all contribute to our ongoing successes! Thank you Steamboat Springs! We are Baseline! 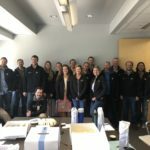 As the year is more than half over, Baseline employees celebrate the company’s 20th anniversary with cake and are gifted with jackets, water bottles, and bonuses! Thank you Baseline! And thank you team!! !